It was amazing to see that all the participants were on fire today! They have gained much more confidence by continuously practicing and exploring bamboo with hand tools and machines. The pleasure of creating things could be easily seen on their face. 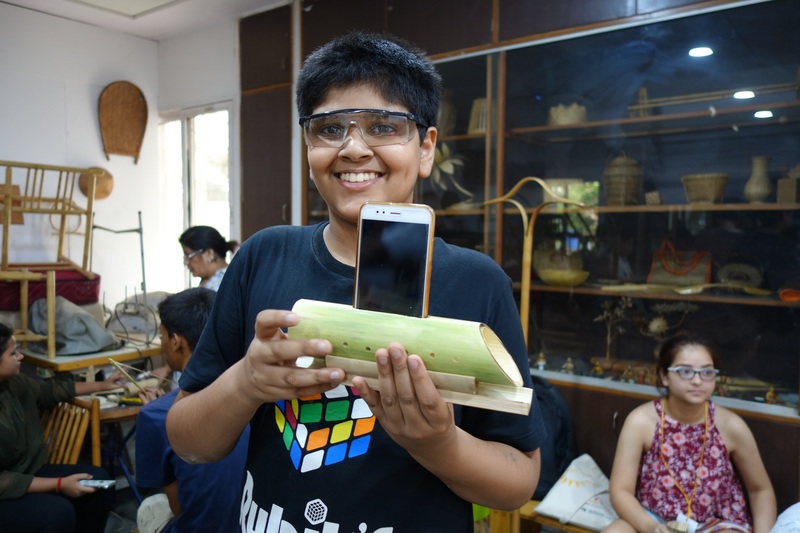 Participants from Pune got inspired by Pravin’s work and have created mobile stands for them where as few have created audio amplifier with the help of our master craftsmen Subrato sarkar and Anil bansal. Anil, who is from Satna, has joined us specially for our 5 day bamboo workshop at NID, Paldi.